We are looking forward to your presentation at the 2019 BMCA Conference! Below are some deadlines, helpful information, and contacts. Please email anytime with questions. Submission deadline for any edits to bios, descriptions, and material/technical needs. BMCA requires all presenters to register for the entire conference (August 7-10). Registration for pre- or post- conference workshops are optional and require an additional cost. BMCA agrees to offer all presenters a registration fee that is one-third the cost of conference attendance. 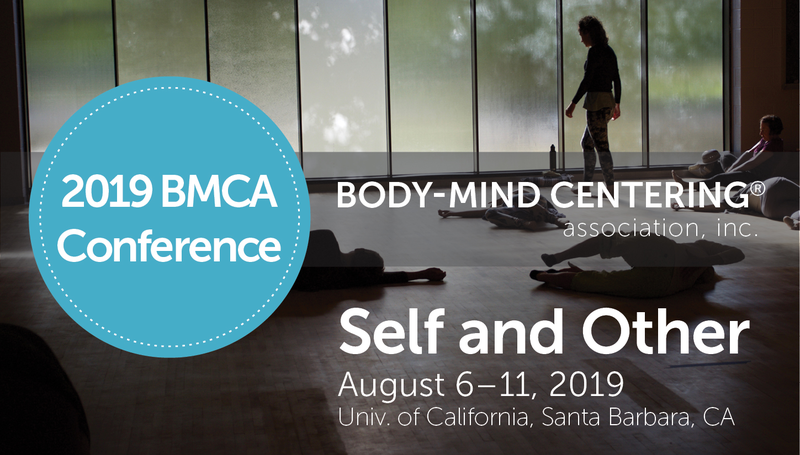 Additional generous discounts are available to BMCA members, students of SBMCsm licensed programs, BMCA Members who do not reside in the US, and current students or faculty of University of California, Santa Barbara. Please be sure to look for these discounts when registering. The Presenter will bring 30 paper copies of any hand-outs needed for his/her workshop. BMCA cannot provide copying services. The Presenter is responsible for all specialized “props” specific to and necessary for the presentation. All attendees are encouraged to bring their own yoga mat. Schedule requests: BMCA will schedule presentations and will accommodate presenter schedule requests prior to February 1, 2019. Edits: BMCA will accept edits to presentation title, description, and bio text, as well as updated technical needs, until April 15, 2019. Marketing: BMCA will market all presentations and the conferences nationally and internationally. Administration: BMCA is responsible for all administrative needs of the conference, including marketing, registration, and information sharing. BMCA will accommodate any marketing ideas brought forth by the Presenter that are in the best interest of the presenter and BMCA. BMCA will provide all space, any material and technical needs (upon availability) for the presentation. A list of available mats, blankets, and physioballs and technical capacities is forthcoming. BMCA will provide any paper (printer paper, large newsprint pads, etc. ), markers, pens, pencils, and a limited number of oil pastels upon request prior to April 15, 2019. BMCA will provide contact information for all fellow presenters and conferees at the conference. BMCA will provide performance space and simple technical support for the aforementioned performance. BMCA will provide an opportunity to have a short (~5-10 minutes) tech rehearsal in the performance space, prior to the evening performances. A schedule will be made available closer to the start of the conference. Please Note: An outside curator will decide on which evening and in what order the performances will happen. BMCA will provide contact information for all fellow presenters, performers, and conferees at the conference. BMCA cannot provide a rehearsal space or a lighting design other than a single que. Facilities such as dressing rooms, warm up space are not guaranteed due to limitations of the site. The Presenter agrees not to withdraw their offering from the conference except in the case of unexpected emergency. In case of emergency, please let your presenter facilitator know as soon as possible. Please note that all deposits are non-refundable. If you have any questions regarding the conference or your registration, please contact BMCA.